For years after the demise of the Soviet Union in 1991, and especially the Ossetian-Ingush conflict of 1992, North Ossetian politicians presented their republic as Russia's ‘outpost’ in the Caucasus. Two decades later, the concept of ‘outpost’ fails to ring bells not only among Ossetians themselves, but also the Russian government. 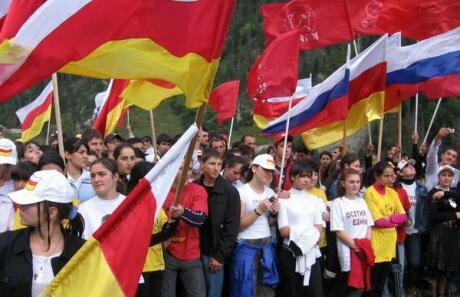 North Ossetia is a small republic (population: 700,000) in the central North Caucasus. North Ossetians are the only predominantly non-Muslim non-Slavic people in the North Caucasus. The strategically important and Russian-built Georgian Military Highway traverses the Caucasus Mountains, joining Vladikavkaz, the republic's capital, to Tbilisi and eastern Georgia. To the west one can see the Roki tunnel, South Ossetia's only link to the Russian Federation. The high level of integration of Ossetians into Russian public life and government institutions dates back to the late Russian Empire. Ossetians were well represented in the Tsar’s army, and, as a result, their support for the October 1917 revolution was mixed, at best. Nevertheless, Ossetians were considered second-class citizens in Tsarist Russia, and the Bolsheviks quickly gained the support of the local population. Even though there were many Ossetian officers in the Russian army, the majority of the Ossetian people were oppressed by the colonial Russian government. Culturally speaking, the primary theme of the founder of Ossetian literature Kosta Khetagkaty (1859—1906), also known as Kosta Khetagurov, was the bleak lives of Ossetians under the Russian state. Tombs of mountaineers. Dargavs, North Ossetia's 'City of the Dead', just north of the Republic's border with Georgia In contrast to the situation 100 years ago, North Ossetians have had a much better view of Russia in the past two decades. North Ossetia has had a rocky relationship with neighbouring Ingushetia to the east, and has been affected by the Georgian-South Ossetian conflict too. So, the concept of an outpost of Russia in the Caucasus seemed to be a convenient and beneficial role to many Ossetians for a long time. However, in the past several years, Ossetian activists have increasingly questioned North Ossetia’s true role in the North Caucasus and in Russian politics. Having established firmer control over the restive North Caucasus, Moscow has also indicated that North Ossetia is only one of many Russian ‘outposts’ in the region. Thus it cannot aspire to special rights and privileges. Moreover, since North Ossetia is relatively quiet (compared to the other North Caucasian republics), it began to receive less financial support from the Russian government. It is interesting to observe how changes in word usage sometimes herald decay in political concepts. ‘Outpost’ in North Ossetia gradually mutated into a derogative term ‘outpostism’, and further sprouted into a related ironic term of ‘outposter’. One North Ossetian observer notes that the ‘outpost’ concept in the republic is inherently contradictory. If the claim is that North Ossetia has been loyal to Russia ‘for centuries’ anyway, why should Russia pay for such loyalty? Meanwhile, North Ossetia has been ‘losing’ its ethnic Russian population at about the same pace as other North Caucasian republics. And although some Russians know that Ossetians are part of the Russian Orthodox faith, overall, knowledge of Ossetia is limited: they are the same as other North Caucasians, and so end up in the same ‘bin’ as the latter. Every North Caucasian republic receives the majority most of its budget funding in the form of various subsidies from Moscow. The differences, however, are quite telling. Russian experts point out that under the conditions of economic crisis, the government will prioritise supporting those North Caucasian republics which are most volatile, such as Dagestan, Chechnya and Ingushetia. For example, per capita budget funding of neighbouring Ingushetia in 2014 was roughly twice the amount received by North Ossetia. North Ossetians are quite sensitive to the differential level of support by Moscow, especially in regard to the North Caucasian republics, and Ingushetia, in particular. North Ossetia and Ingushetia have experienced ongoing rivalry for decades, which culminated in armed conflict in 1992, and continues to this day. North Ossetians and Ingushes have repeatedly clashed over disputed territories. The Prigorodny district and Vladikavkaz, capital of North Ossetia, became the scene of armed clashes in 1992. Hundreds of people were killed, thousands of homes were destroyed, and tens of thousands of people fled the violence, becoming refugees or otherwise displaced. Ethnic Ingushes who resided in the disputed parts of Prigorodny district and Vladikavkaz primarily bore the brunt of the armed conflict. Despite many attempts of the government to resolve the Ossetian-Ingush conflict of 1992, tensions have persisted and the refugee issue has been resolved only to some extent. Flags of Russia and Ossetia flying together. In March 2014 a rally supporting Crimea's annexation was held in Vladikavkaz The conflict dates back to the Second World War and even earlier times. The eastern part of Prigorodny district belonged to Ingushetia prior to the deportation of the Ingush and Chechen people by the Soviet government to Central Asia in 1944. Vladikavkaz used to be the administrative centre of Terek Region under the Tsarist regime in 1860-1920. Both contemporary North Ossetia and Ingushetia, along with several other regions, were part of Terek Region and both Ossetians and Ingushes could potentially lay claim to the city. When Ingushetia was formed as a separate republic in 1992, the issue of borders became vital for its future. At the time of Chechnya’s de-facto secession from Russia in 1991, Ingushetia was left to its own devices as the paired Checheno-Ingushetia republic fell apart. Moscow benevolently looked at the split of Checheno-Ingushetia as a way of decreasing the influence and power of the quasi-independent Chechen Republic of Ichkeria. Ingushetia’s borders were defined neither in the east with Chechnya nor in the west with North Ossetia. 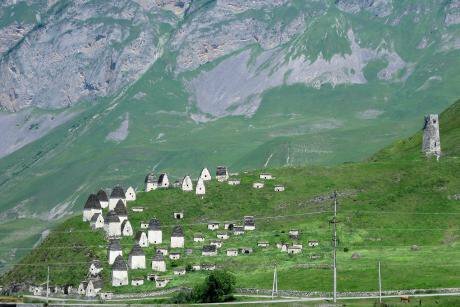 Moscow sent contradictory signals to both the Ingush and the Ossetians. On the one hand, the Russian government supported the rehabilitation of the Ingush people, including ‘territorial rehabilitation.’ On the other, the government said territorial issues could be resolved only through mutual consent of republics. The resulting conflict poisoned the relations between Ossetians and Ingushes for decades. Other tragic events, such as the Beslan school hostage crisis of 2004, contributed to the enduring animosity between the two neighbouring peoples. In September 2004, dozens of militants captured a school in the North Ossetian town of Beslan. After two days of negotiations, government forces stormed the building, ending the hostage crisis in bloodshed. 333 out of over 1000 captured hostages were killed, most of them children. The tragic events in Beslan shocked North Ossetians to the extent that even now, 11 years after the attack, some people speak about ‘Ossetian depression’. The primary demand of the militants in Beslan was the withdrawal of Russian troops from Chechnya. Paradoxically, North Ossetians on average were much more inclined to connect the attack not to the Chechens but the neighbouring Ingushes. The Beslan hostage attack cost the then president of North Ossetia, Alexander Dzasokhov, his position. North Ossetians also were quite critical of the government in Moscow. The Mothers of Beslan, the organisation of the victims and their relatives, harshly criticised the Russian government and did not hesitate to point to Vladimir Putin as the primary culprit of the tragedy. The main accusation against the government was that the government consciously avoided holding talks with the militants in Beslan and started the rescue operation, having failed to give any consideration to the lives of the hostages. The fact that the so-called ‘main Beslan case’ is still being investigated 11 years after the attack, lends strong support to the belief that the Russian government is attempting to hide inconvenient truths from the people. The Beslan generation: In June 2015 Taymuraz Mamsurov, Head of North Ossetia for 10 years, was succeeded by Tamerlan AguzarovBeslan has had a lasting impact on North Ossetia. Beslan is a small town with a population of about 37,000. The town has a significant railway hub and used to host quite a few industries, which made it attractive to Ossetians and other ethnic groups from different parts of republic. So, nearly everyone in the small republic was affected in one way or another by the violent end to the crisis. Many Ossetians then started to question the usefulness of being ‘Russia’s outpost’ in the North Caucasus when it amounted to being targeted by militant groups and betrayed by the central government. A solution to the rise of political dissent among North Ossetians was found in 2005 when Moscow replaced the unpopular head of the republic, Alexander Dzasokhov, with the then speaker of the republican parliament, Taimuraz Mamsurov. The parliament’s speaker was not only an influential person in North Ossetia, but also came from Beslan. In addition, according to reports, one of Mamsurov’s daughters was among the hostages. Mamsurov allegedly declined an offer to seek his daughter’s release without releasing other hostages. During the crisis, Mamsurov also quickly organised local armed militia in the town. Taimuraz Mamsurov never gained much popularity in North Ossetia as a governor, but he certainly managed to assuage the dissent among the North Ossetians by virtue of being the father of a hostage, and his role in alleviating the consequences of the hostage attack in Beslan. 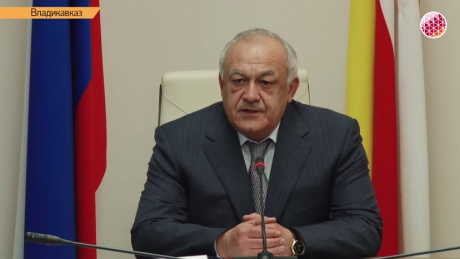 In June 2015, Moscow replaced Mamsurov with the ex-chairman of the Supreme Court of North Ossetia, Tamerlan Aguzarov, who also has ties to Beslan. Aguzarov presided over the trial of the only (officially) surviving militant from the Beslan attack, Nurpasha Kulaev, in 2005-2006. So, the ‘tradition’ of Beslan-related politicians to lead North Ossetia continues. Judging by financial indicators, Moscow pays far greater attention to the developments in volatile Dagestan, politically-sensitive Chechnya, as well as the unsettled republics of Ingushetia and Kabardino-Balkaria. The ‘left behind’ feeling in North Ossetia is exacerbated by the economic downturn which has resulted in job losses and budget cuts. Moscow does not have doubts about its control over North Ossetia, so the ‘outpost’ paradigm can hardly be offered up as an asset in negotiations with Moscow. North Ossetians, therefore, are in a search of a new broad political platform which would allow them to increase support from Moscow, but at the same time avoid jeopardising their relations with the neighbouring republics. The latter problem was vividly demonstrated when the North Ossetian public vigorously protested against the republican government’s plans in 2014 to install a monument to a Russian soldier who had killed scores of Circassians. Those plans were eventually dropped. Apart from the fear of spoiling relations with their neighbours (North Ossetians and Circassians have been on fairly good terms in the past decades), North Ossetians are also showing signs of loyalty fatigue, related to the latest incarnation of the central government’s ideology of the ‘Russian World’ (Russkiy mir) that does not include anyone apart from the ‘Great Russian People’. In essence, ‘Russian World’ means that Ossetians are neither part of the ‘Great Russian Nation’ nor the ‘outpost’ of it in the North Caucasus. This might cause them to look for another role for themselves.